EngagingPatients.org Gaining Insight From the Public - Welcome to EngagingPatients.org! For those of us who specialize in patient safety, the field is very much about the science of improvement, measuring performance, testing initiatives, and keeping on top of the latest research. Patient engagement is critical to our efforts, because the voice of experience adds valuable insight and direction to health professionals and leaders seeking to improve the system of care. But what does the average adult in the United States think about patient safety? Does the term “medical error” even resonate with people who have not experienced one, either directly or indirectly? Those were some of the questions behind a public opinion survey conducted earlier this year to assess perceptions of patient safety and medical errors in America. The IHI/NPSF Lucian Leape Institute commissioned NORC at the University of Chicago to conduct the survey using a panel of adults who are representative of the U.S. population. Although the survey findings represent the perceptions, memory, and interpretations of the respondents, and must be assessed through that lens, they provide a greater understanding of patient safety and medical error from the public’s standpoint. Most respondents report having recently sought health care, and most report positive interactions with the health care system. Twenty-one percent of respondents report having experienced a medical error in their own care, and 31 percent report being closely involved in the care of a loved one who experienced a medical error. The majority of the perceived errors were related to diagnosis. The majority of errors occurred outside of acute hospital settings. Nearly half of those who experienced an error said they brought it to the attention of a clinician or someone else at the facility where they were treated. To me, the last bullet is one of the most encouraging results. Speaking up is one of the key pieces of advice given to patients and the general public when it comes to improving patient safety. Patients and caregivers are encouraged to ask questions and voice concerns if they think something, anything, is not right. In reality, though, speaking up is not always easy or intuitive. 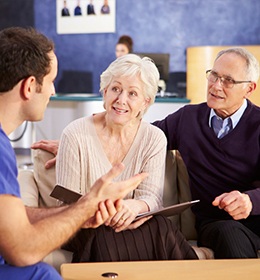 As studies show, the underlying culture of an organization can influence a patient’s or family member’s willingness to speak up. If, for example, staff seem busy and overburdened, patients and their loved ones may hesitate to speak up unless they are certain that something is significantly wrong. As others have noted, patients may fear being labeled as “difficult” and shy away from confrontation, such as asking clinicians to wash their hands. A recent paper concludes that one way to overcome such barriers may be to ask patients and family members directly about breakdowns in care. The authors note that when breakdowns were reported, they included factors like poor communication and rudeness — which might not be considered “errors” to health professionals. In the recent IHI/NPSF survey, most respondents with experience of a medical error said they had reported it to a health professional in the organization where the error occurred. This is an encouraging sign, hinting that open dialog between patients and their providers is growing increasingly stronger. In keeping with previous research, the survey reveals that most people who reported an error did so to prevent it from happening to someone else. The survey also points to room for improvement. Among respondents who said they experienced an error but did not report it, 56 percent said they “didn’t think it would do any good,” and 40 percent said they “didn’t know how to report a medical error.” This underscores an opportunity to educate the general public about the importance of speaking up and reporting errors so that the root cause can be fixed or eliminated. Among those survey respondents who noted they experienced an error, 32 percent said they were informed of the mistake by a health professional or someone else at the facility where the error occurred. This suggests, perhaps, differences in what health professionals and patients consider to be errors, presenting an opportunity to improve definitions and understanding of error and harm and identifying ways to improve error disclosure processes. Of course, speaking up is ideally done to prevent errors before they happen, which leads to another interesting finding of the survey: When asked which people or entities have responsibility for ensuring a patient’s safety, 94 percent cited doctors, nurses, and other health professionals; 89 percent said hospital leaders and administrators; and 85 percent said patients, family members, and caregivers. The survey responses suggest that patients and their families want — and expect — to be involved in their care. We owe it to them to provide the kind of health system that will encourage and welcome their participation.